FRIENDSWOOD, TX (KTRK) -- A Friendswood woman was arrested on Monday after placing abusive calls and texts to 911. Police say the first call came in on July 4 at 12:47am. They say Janine Michelle Linton, 37, called 911 from her cell phone. All the dispatcher could hear was a woman yelling and then the voice of a young child. When the 911 call ended, the 911 dispatcher reported receiving several emergency 911 text messages from Linton. Linton reportedly requested help, gave her address and said that her mother assaulted her with crutches. Police responded to Linton's residence in the 800 block of Lexington Drive expecting a domestic disturbance. 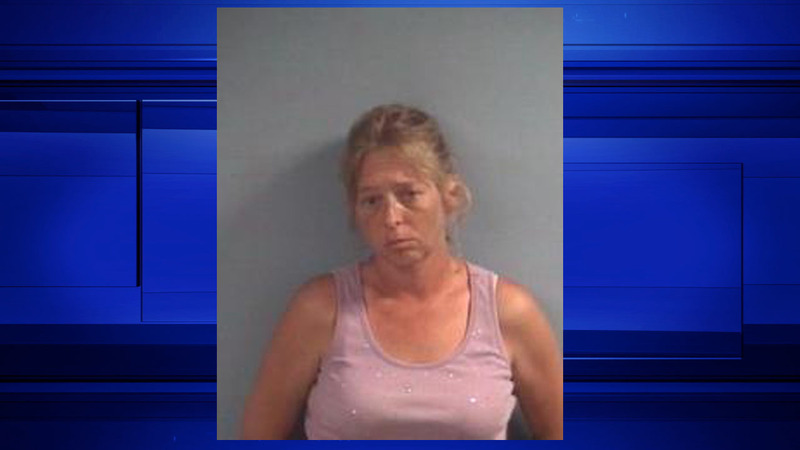 When they got there, Police say they found Linton intoxicated. Police say Linton claimed she didn't call 911 and belligerently told officers to leave and to get a search warrant. Officers spoke with Linton's mother, verified the origination of the 911 calls, determined there was no physical altercation and left the scene. As soon as the officers left, Linton reportedly began sending abusive 911 emergency text messages, accusing the 911 operator of "ratting her out." Officers returned to the home and Linton was taken into custody. Linton was charged with Silent or Abusive Calls to 911. Her bond was set at $1,000 and she is currently in the Galveston County Jail.